We’ve seen a lot of tiny homes over the years, but what really sets this one apart is the seamless blending of the old and the new. 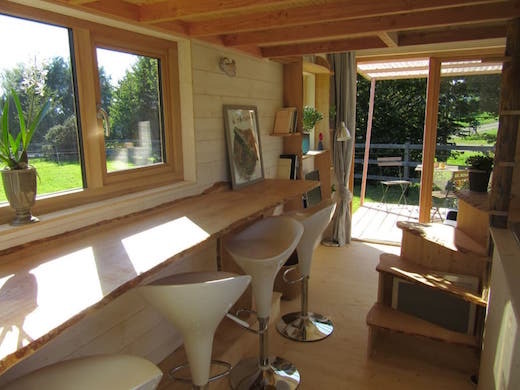 The French company La Tiny House designed their creation based on the classic Airstream trailer, which is why they name it the Tiny Stream house. It’s not an exact copy of the Airstream, but the general shape of it is quite unique and definitely sets it apart from the rest of the offerings on the market. 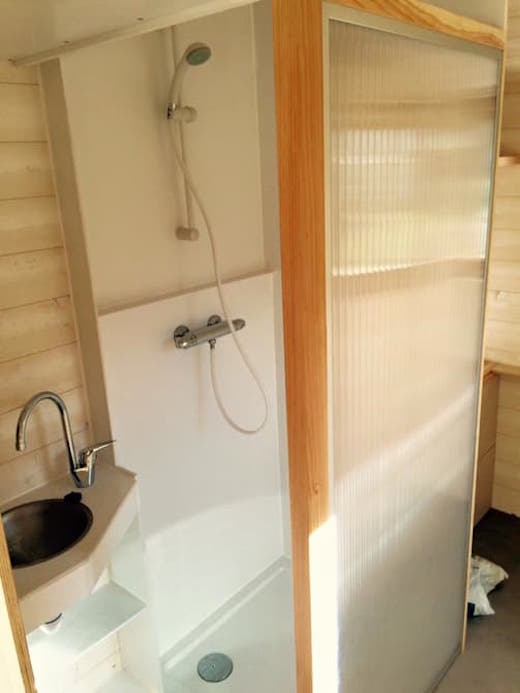 The Tiny Stream homes are highly customizable. 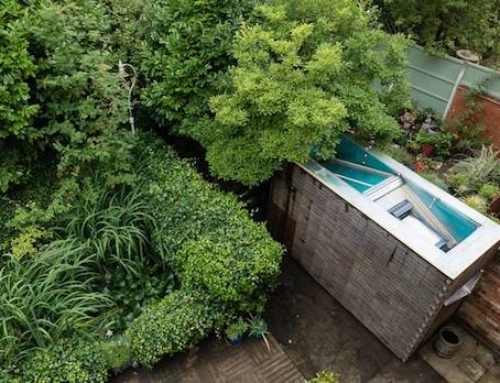 The homes can be either 13 ft or 23 feet long (4 and 7 m respectively). 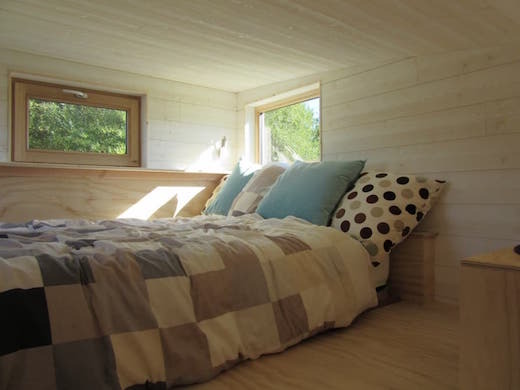 The smallest can sleep two people, while the longer version can sleep up to six people, which would make it perfect as a family vacation home. The homes feature a downstairs area, which measures measures 107 – 161 sq ft (10 – 15 sq m), and a sleeping loft, which measures 53 – 75 sq ft (5 – 7 sq m). 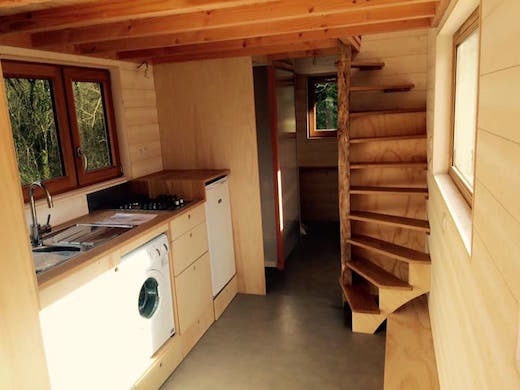 The loft is accessible via a set of winding steps, which could well be a first in tiny home design. The downstairs contains the living area, a kitchenette that features a stove, washing machine, refrigerator, and quite a bit of counter space. 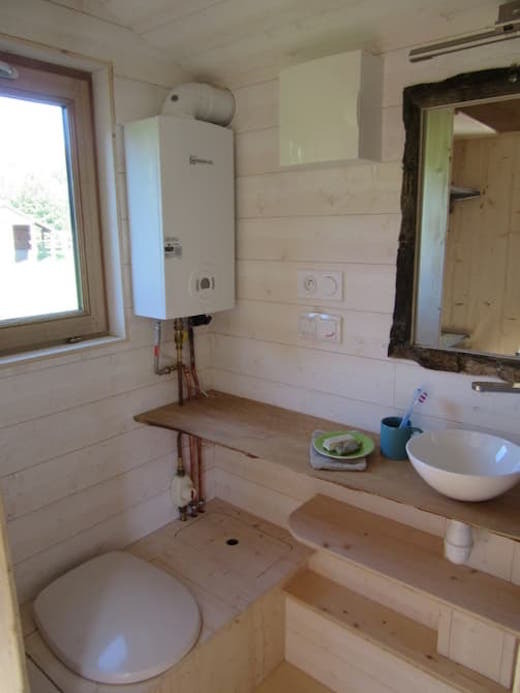 There is also a bathroom with a shower stall and a composting toilet. The loft is fitted with a double bed. The exterior of the home is clad in wood and aluminum siding. The home features a distinctive curved roof, and there is also a small porch attached to the home. 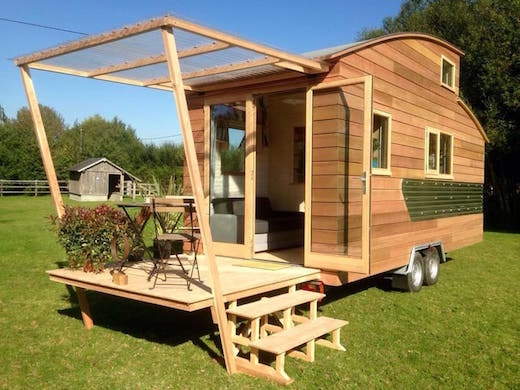 French tiny house towing laws say that a home may not exceed 7,700 lb (3.5 metric tons), which is also something they took into consideration when designing this home. 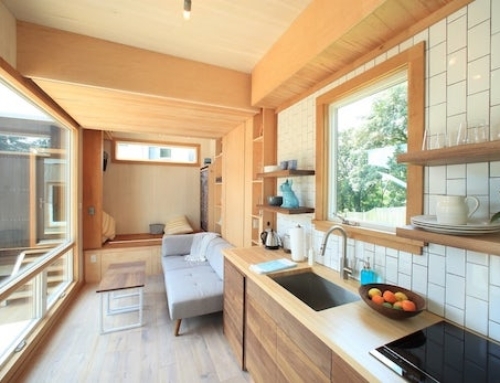 In comparison, US laws allow towable homes to weigh up to 10,000 lb (4.5 metric tons), which gives designers more to work with, but La Tiny House did a great job despite this drawback. Another cool feature of the Tiny Stream is that it can be removed from the trailer, which means that it’s also possible to make it a permanent home by placing it on a foundation. 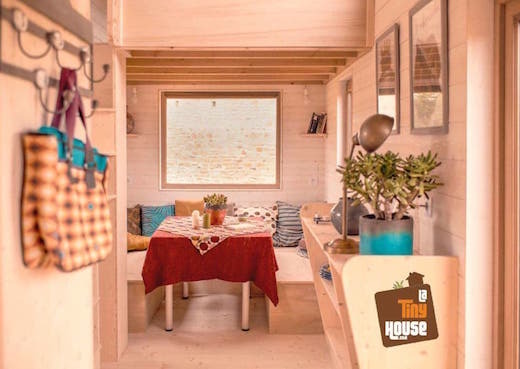 La Tiny House has three models of their Tiny Stream home available, and they offer many optional customizations including making the home completely off-the-grid. The basic version costs about $26,600 (€23,500). Rooms are really spacious and praiseworthy interior. 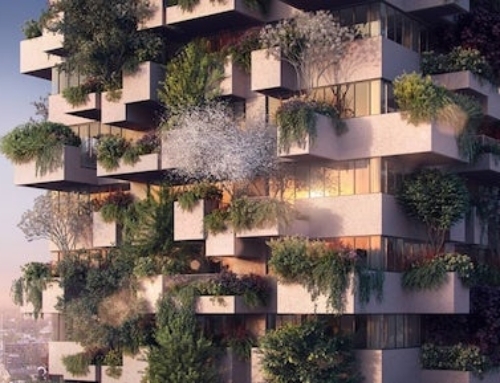 Thanks for sharing this post with with such an amazing pictures.